With still no snow on the Laurier grounds, DJ Champagne Tiny and DJ Steffy Wap are still conflicted on how to dress. Do we pull out the parka? Can we still rock the hoodie and jean jacket look? Are winter boots appropriate yet? So many pondering questions with very little answers. It’s that time of the year again when men shave their faces clean and let their facial hair grow out in support of men’s health. That’s right- it’s officially Movember! What we didn’t know until today is that Movember is not solely a cancer based charity. It supports and promotes all aspects of men’s health including men’s suicide. Champagne Tiny and Steffy Wap both agreed how important promotion of mental health in males is because there is a stereotype for them to be strong and not show any vulnerability. The Link is part of the Lazaridis Society and is promoting Movember on Laurier’s campus. In addition, Movember WLU is also hosting Movember Trivia Night at Wilf’s on November 28th so be sure to mark your calendars and head over to Wilf’s for a fun night! Check out their Facebook page to find our more information on Movember, including how to support the cause. 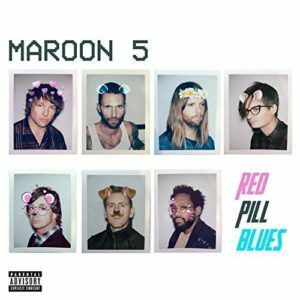 Friday, November 3rd was a very special day for Steffy Wap because Maroon 5 released their sixth studio album: Red Pill Blues. Adam Levine even threw some shade at The Voice, co-judge Blake Shelton for releasing his new album on the same day (check out his savage tweet below). On a side note, if anyone has a cure for Steffy Wap’s Maroon 5 Fever, please tweet us at @RLMorningShow. That’s right…. this Tuesday, November 7th Champagne Tiny and Steffy Wap are goin’ UP and doing a Radio Laurier Snapchat and Instagram takeover at the Roy Woods concert in London. 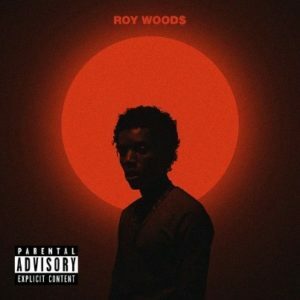 Not only was October 8th, 2016 a sentimental day because we saw Drake for the first time, it was also the night we discovered the rising OVO artist, Roy Woods. We were blown away by his talent, vibe, and catchy beats when he opened for Drizzy and immediately after the concert we both downloaded his singles. Fun fact though, we learned today that Roy Woods and Champagne Tiny are from the same hometown. Be sure to add radiolaurier on Snapchat and follow @radiolaurier on Instagram before Tuesday night!!! How soon is too soon to be putting up Christmas decorations and listening to Christmas music? Is November 1st the ideal start for Christmas season? We were left in a dilemma over when to get into the holiday spirit. On one hand, with tickets for events such as 12 Barz having gone on sale this Monday it seems like an appropriate time to start planning the holiday season but at the same time are we ready for a month and a half of constant Christmas music wherever we go? Which Canadian will she choose? It feels like Selena Gomez is having her own version of the Bachelorette with The Weeknd and Justin Bieber being the two finalists. Champagne Tiny is very much #TeamAbel through this weird relationship triangle. It has been confirmed that Bieber had no part in Selena and Abel ending their relationship but it sure seems a tad fishy how Gomez and Bieber have been spending time together recently. Hopefully Champagne Tiny’s heart doesn’t get broken and Selena and Abel continue their relationship while Selena and Justin maintain a healthy friendship. This week we had Adriana Murich, one of the executive members of the Laurier Shinerama Team at the studio to talk about the ongoing Shine Promo Week. Q. Tell us a bit about yourself and how you got involved with Shinerama, and for anyone who isn’t aware of what Shinerama is, could you shed some light on that? A. This is my second year being a part of the Shine team. In my second year at Laurier I was a general volunteer and took on an exec for the special events coordinator position this year. I fell in love with Shine when I heard the guest speakers come in and talk to us, by the people around me who were so passionate for the cause and lastly cause of the people I get to work alongside. Shinerama is a charity based club at Laurier that raises money to find a cure for Cystic Fibrosis. Q. Laurier is such a huge supporter for Shinerama, how do you think the inspiration and drive by students continues to be carried on year to year? A. Every year I’ve seen a growth in numbers of the team and more volunteers come out with more and more passion. People’s personal connection to CF or just their drive to raise awareness brings so much energy through which Shine goes past their goal every year. Q. How has the journey for Shine been so far? How much has the club raised? What do you have planned for the rest of the year? A. Shine goes from May-April and so far since May 2017 we have raised $122,000.00. The Shine promo week is another way for us to get students on campus to be aware of Shine and chip in a little because it goes a long way. Well, that’s a wrap from today’s show. Big congrats to our men’s football team for beating McMaster 19-6 in the OUA Semifinals on Saturday. Time to prove that our purple is better to Western this weekend in the 110th Yates Cup! Tune in next week for Movie Madness and remember stay golden!